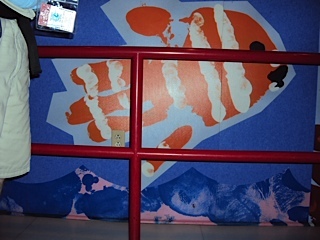 This week’s theme, Hidden Mickeys, has been incredibly popular! I’ve received emails from a ton of people around the Internet, some with blogs, some without, and each of them has been full of great Hidden Mickeys, so I hope you enjoy looking at all of these! After you read the post, I invite you to check out my friend Jonathan’s site Mouse and Memos! In this site, he has a repository of Hidden Mickeys, and you can add to the database with Hidden Mickeys you find at the parks, so go ahead and add them in! Here are my 2 of my favorite hidden Mickeys! The first isn’t so hidden, but is my favorite. My friend had included a bunch of Mickey confetti in a wedding card she sent me and apparently a piece had made its way to the floor. I was sitting on my bed and my dog, Barkley, came over and he had the Mickey stuck to his nose! It was too cute! The second picture is a true hidden Mickey, taken at my sister’s condo in Panama City, Florida. I spotted the Mickey shaped rings on the table our first day there and had to get a pic! 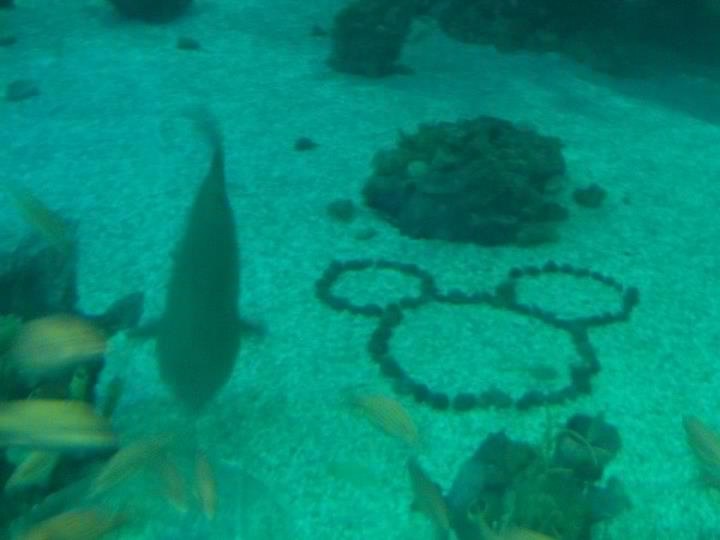 This is a hidden Mickey we found in the shark tanks over with seas of Nemo. It’s special because it was our first real HM and the kids found it first. 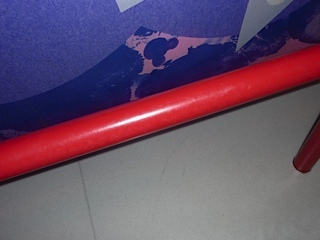 Here’s a Hidden Mickey exposed in the line for Toy Story Midway Mania. Here’s the area: Andy’s drawing of Nemo. And here’s the Hidden Mickey revealed! 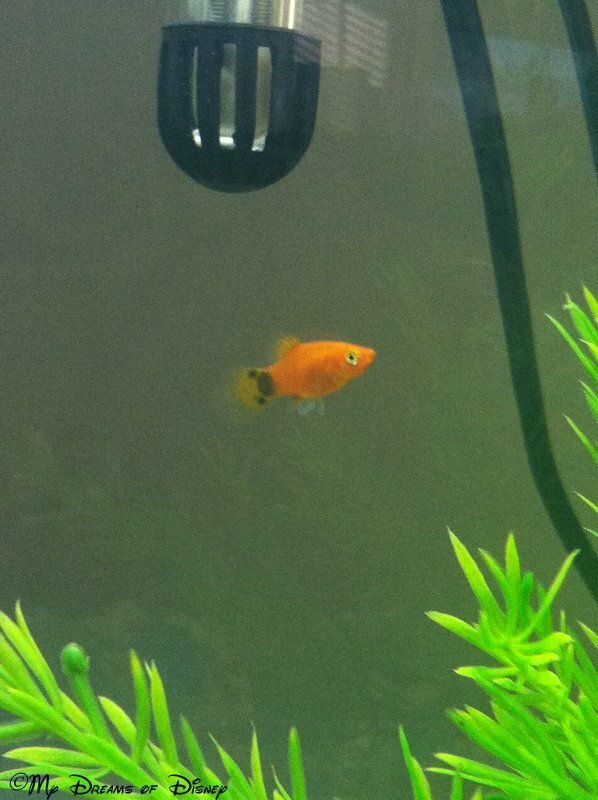 It’s just under Nemo’s tail. This is all located just before you start up the ramp to board TSMM. This is Brenda and my favorite Hidden Mickey, because it’s the first we ever found! Though we did know where to look for it, thanks to one of our many Disney books. Editor’s Note: Talk about a small world. Take a look at two of the Hidden Mickeys that we have at our house! Here, in all her glory, is Minnie Moo! This was taken in 1991. I don’t remember what that area was called at the time, but it looks sort of circus themed. 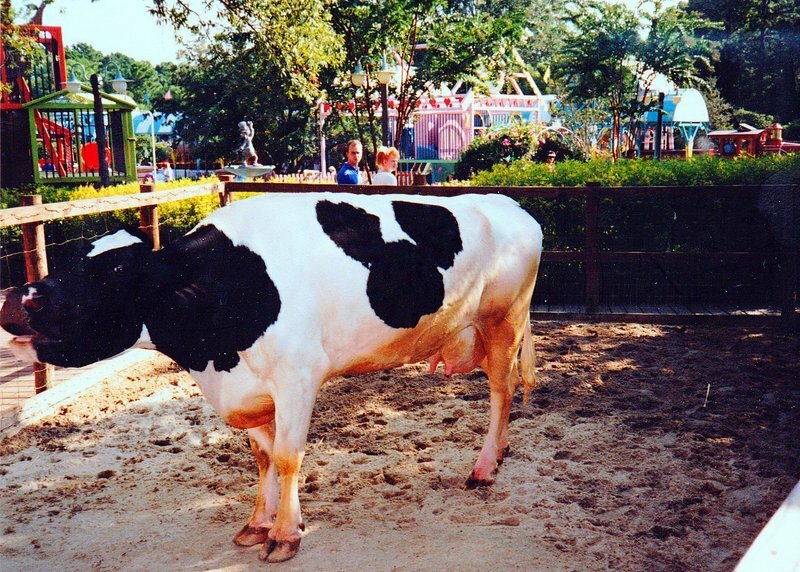 I doubt if they could keep a cow in an enclosure like that now. Grins! Hello, my name is Angelique and this Hidden Mickey was found while my family and I were waiting for Animal Kingdom to open its gates one morning in 2009. I thought it was really neat how they configure these kinds of things into simple building structures. I don’t have a blog, I’m busy enough already, but I enjoy reading everyones shared info there on Facebook :) It’s almost become easier than calling and asking a Disney operator! On our last trip to Walt Disney World, my daughter Gracie (11 at the time) was prepared to look for Hidden Mickeys. She was armed with the Hidden Mickeys book by Steve Barrett. At almost every area of every park, she told us where we needed to slow down and really look! We found a TON of Hidden Mickeys that I would definitely have never noticed if not for the book and Gracie’s well-trained eye! I’ll just share a few pictures – one from each park – so I don’t take up Mike’s whole blog! 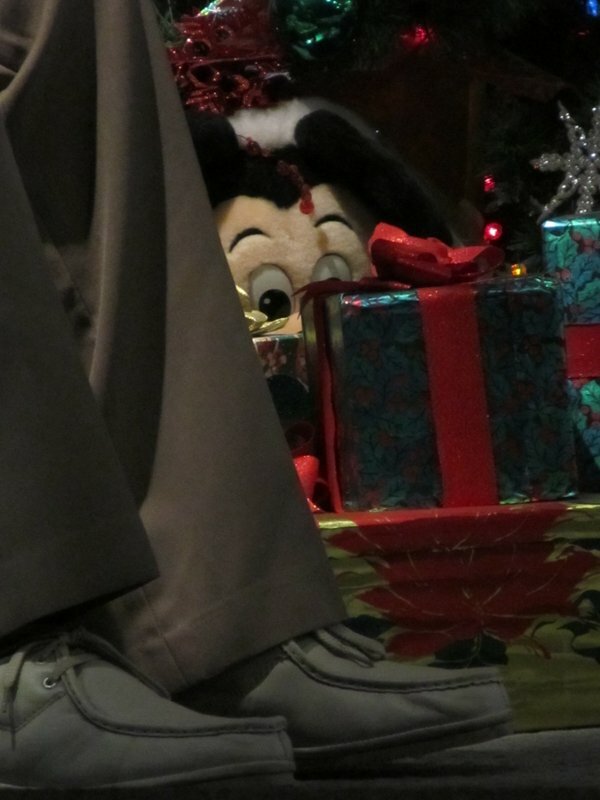 This first picture is one of my favorite Hidden Mickeys – found on the last scene of the Carousel of Progress. I love this picture of Gracie lounging in front of a mural in the Morocco pavilion. 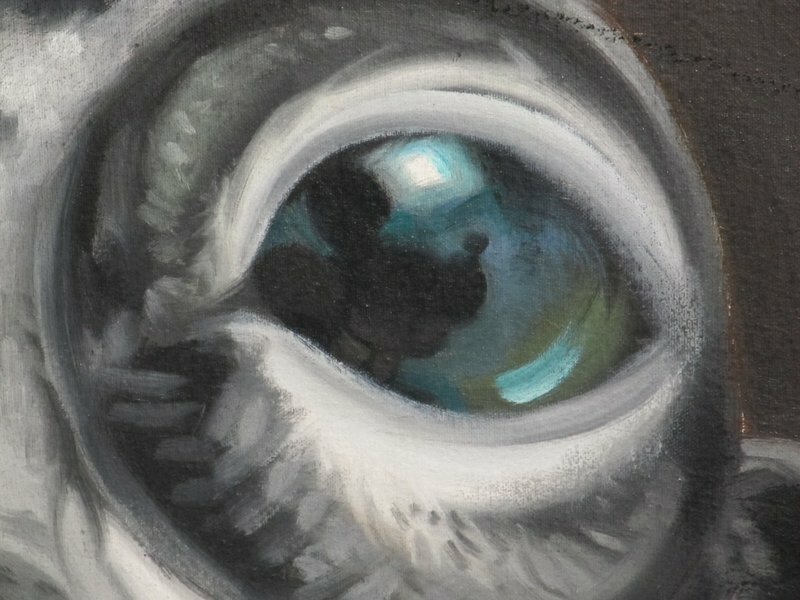 If you look closely, you should be able to spot TWO Hidden Mickeys on the mural. If you can’t find them and need a hint, you can e-mail me for close-up pictures! Heidi, is one of the Hidden Mickey’s on Gracie’s Shirt? I don’t know why, but we didn’t seem to be as “in tune” to the Hidden Mickeys at Hollywood Studios. We did spot this one – quite obviously – on the Backlot Tour. You could literally spend HOURS searching for all the Hidden Mickeys at Rafiki’s Planet Watch. The murals – both outside and inside – are LOADED with them. It’s hard to narrow it down to just one. 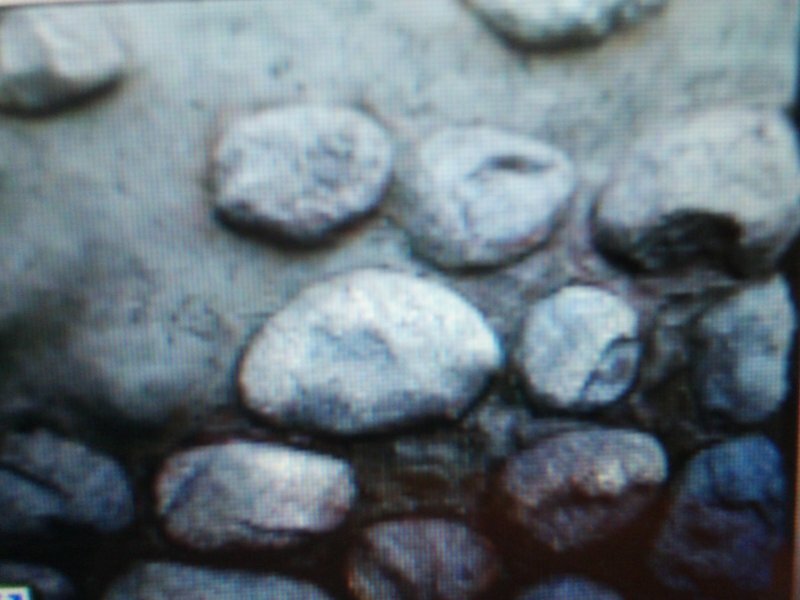 As you can see by my pictures, there are a variety of Hidden Mickeys hidden throughout the Walt Disney World complex. Many are the traditional 3-circle Mickey heads, while others are his profile, a front-on facial, or a “real”/full Mickey (just hidden somewhere obscure). Here at Meet the Magic, we love finding hidden Mickeys. I love seeing them from others in hopes that I will find them on my next vacation to Disney. Maybe it is a personal good excuse for revisiting an attraction, restaurant or resort! I also appreciate seeing unofficial hidden Mickeys at home! This photo was taken in EPCOT in the World Showcase, specifically in the France Pavilion. I had never noticed these adorable hidden Mickeys before and they are virtually everywhere! Please email your hidden Mickey photos to natalie(at)meetthemagic.com. Please RSS feed Meet the Magic so you do not miss out on the future hidden Mickeys! In Walt Disney World and Disneyland, everything is so meticulously detailed!! Going to the Bibbidi Bobbidi Boutique, your little girl will not only experience a total princess makeover, (please read my article on our experience) but it’s also the little details that you catch, which makes it even more magical. My daughter got the “Diva” makeover with the hair extensions. While she was signing the guess book, I noticed HIDDEN MICKEY’s in her extensions!! How cool! If you look closely at the photo, the Mickey’s are blue! Her Fairy Godmother-in-training also put in crystal like hair clips, with, you guessed it, has a Hidden Mickey at the end. This beautiful and subtle “bling” will adorn any Mickey fan’s hair, which is why I “borrow” the clips sometimes when I’m missing Disney World. For the other styles offered by the Bibbidi Bobbidi Boutique, there are Hidden Mickey details in each accessory they use. I LOVE finding Hidden Mickey’s in places I never expected! I love Hidden Mickeys. One of the reasons I built my site was to catalog the ones I’ve found. With that said, this Hidden Mickey might not be the worlds most creative but it has offered the most opportunities to talk with other Hidden Mickey hunters. 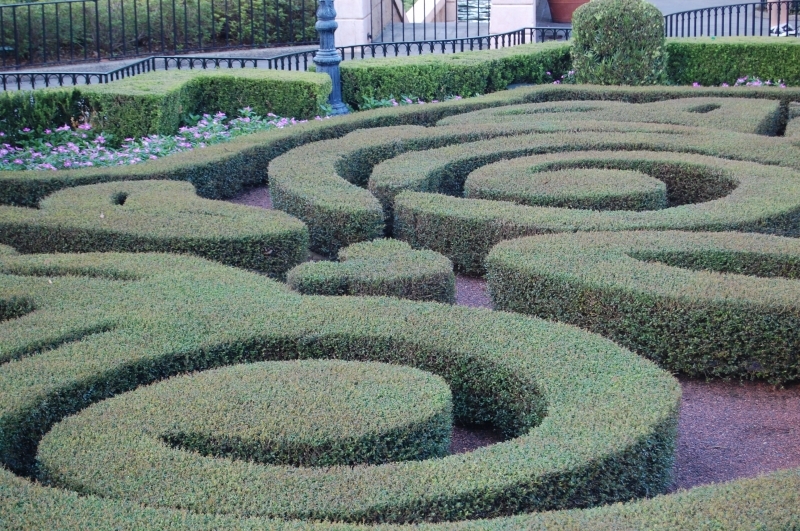 This one is located in the garden at the front of the France Pavilion in World Showcase. At least once on every trip I make to WDW (if not visit to Epcot) I have ran into someone looking for this Hidden Mickey. You can usually spot them as the people standing on their tip-toes, scanning over the garden – not something someone just strolling through Epcot does. Casually I say, “if you get stuck, let me know.” I wait a minute or two admiring other aspects of the pavilion and more often than not, they come and ask for help. After showing them, some just say thanks and take off. Others stay and chat and talk about the Mickeys they’ve found today, ones they’re having problems, etc. It’s been a great way for me to talk and interact with others looking for Hidden Mickeys! Editor’s Note: Don’t forget that you can add your own Hidden Mickeys over at Mouse and Memos! Just click the link to head to his site to get started! This was taken on our first ever trip to Disneyland this spring. The streetlights on Disneyland Drive all have Mickey finials! Would love to find someone who manufactures these so our light at home could have that Mickey magic on a daily basis!!! My friend Didi Marie, the creator of the site DISTherapy, is next on our list. She painted quite the picture of Hidden Mickeys for me, but I’m going to let her tell the story! 1. Classic Mickey in the clouds on the mural outside The Hollywood Brown Derby; look far left, above the “Stage 5” sign. 2. Another Classic Mickey in the clouds outside The Hollywood Brown Derby; upper right. 3. In the Pizza Planet Arcade, look above the arcade games. In the moon near the top of the mural, there is a 3/4 Mickey profile. 4. On Streets of America, find “Sal’s Pawn Shop”; a Mickey Mouse watch hangs in the window. We won one of the smaller pirzes; a $15 Visa Card and better yet, a signed copy of Steve’s Barrett’s 5th EditionHidden Mickeys Field Guide book! Fast forward one month to our extended family Disneyland trip. Guess what my nephews are hooked on?? Once again, my two “men” raced around with their Hidden Mickey Field Guide ~ Disneyland Edition. Conclusion? Hidden Mickeys= The Fountain of Youth!! also Hidden Mickey’s posing as hood ornaments on the red & blue cars. Thanks for stopping by everyone and enjoying all of the terrific Hidden Mickey pictures! This was a great post for me, thanks for reading! The Haunted Mansion Hidden Mickeys! Lots of fun Hidden Mickey's! Thanks for allowing us to share, Mike! And thanks for sharing Terri! I agree with Terri- F-U-N!! Wow! What a great collaborative effort this week, Mike! Anytime! I enjoy working with you!